Just a day ago, the filmmakers of Housefull 4 announced that the film went on floor in London. However, most of the team was already present in UK even before the said schedule kick started. While they decided to take off early for the prep, they also brought in the birthday of producer Sajid Nadiadwala’s wife Warda during the same time. We got glimpses of this star studded affair on social media platforms. 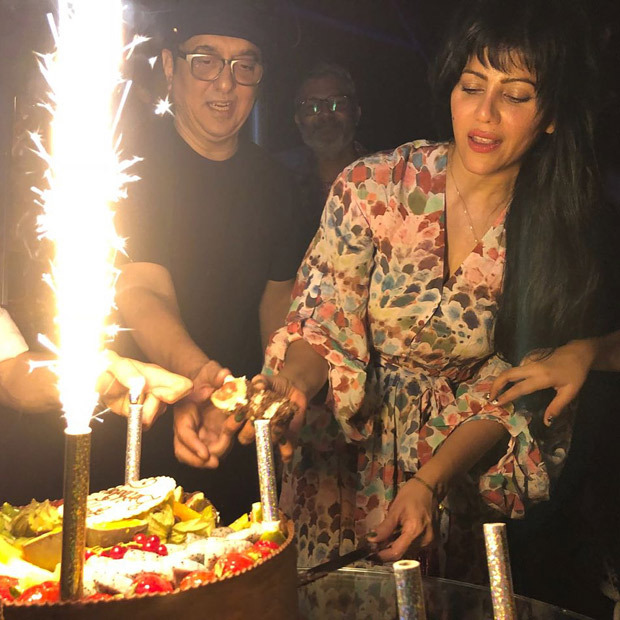 Readers may be aware that Warda Nadiadwala was in for a surprise a few weeks ago when hubby Sajid Nadiadwala, their sons and the rest of the team decided to plan her birthday. All of them decided to surprise her a week ahead of her birthday by planning a Wonder Woman themed bash and everything from the cake were themed as per the DC comic character. On the other hand, this bash in London was much a star studded affair with many actors and socialites and other friends coming together. 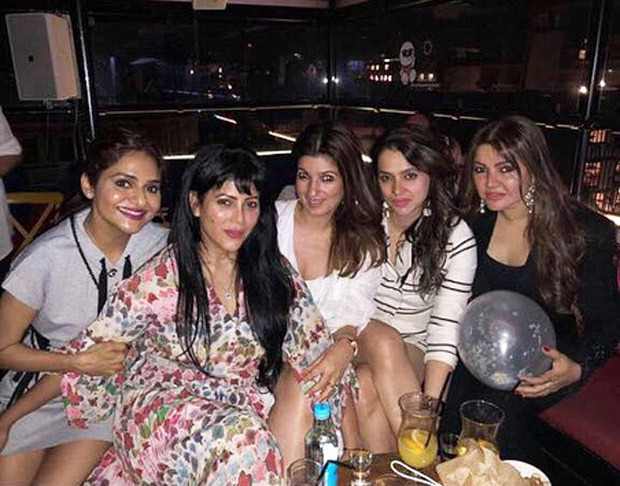 Amidst the stars, we spotted Twinkle Khanna who was present there for the Housefull 4 schedule. Her hubby Akshay Kumar was however in Mumbai for the Gold song launch and other commitments, after which he was to fly to the England capital to kick off the comedy film. Besides her, we saw Dangal director Nitesh Tiwari and his filmmaker-wife Ashwiny Iyer Tiwari. 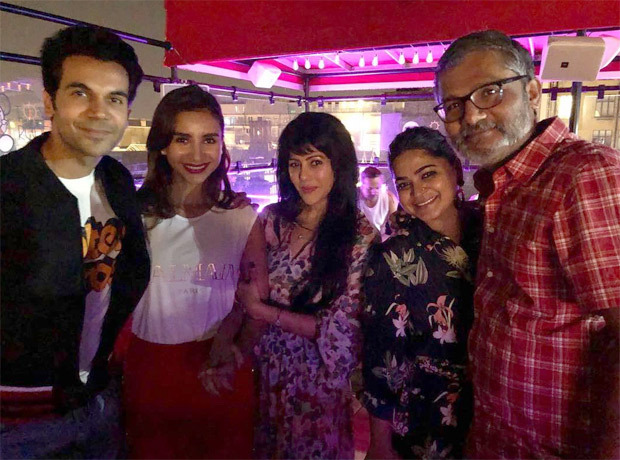 Rajkummar Rao and girlfriend Patralekha too were a part of the bash. The actor was in the Queens city to shoot for the wacky thriller Mental Hai Kya. Also, actor Bobby Deol, who will be associated with the Housefull franchise for the first time, too was a part of the bash along with his wife Tanya. In fact, reports also suggest that Sajid Nadiadwala had flown down his family members as well as Warda’s mother and sister. The said bash was said to be held at Toy Roof Club in the Queens city and it has been learnt that everyone including the birthday girl Warda rocked the dance floor.